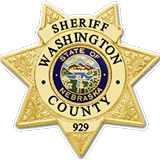 The Washington County Sheriff's Office is located at 1535 Colfax Street in Blair, Nebraska. Visitors to our office are asked to use the main entrance doors on the north side of the building and check in with front counter employees upon arrival. If you have any questions that we can answer prior to your visit, please contact us.